I have noticed many people in the industry are doing the best they can to raise CP standards and to raise people's awareness on the fact that the SIA standards are not high enough. I am currently reading the CP book written by Richard Aitch and it is very good, he does what he can to raise the standards and isn't shy about telling the truth. As well as the book, I noticed he has created 2 raising CP standards groups of Facebook and LinkedIn. Do you have any other thoughts or ideas on how we can raise standards in the CP industry? Re: How can we raise CP standards? 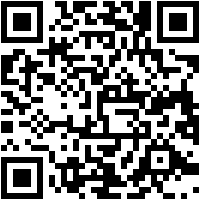 and assessment for purposes of obtaining commercial employment in the UK. Minimum duration for course content - 336 hrs. I very much like your proposal for change. The question is, how can things be changed? Which person or group of persons can go to the SIA with this proposal? The proposal will need to have a lot of weight behind it in order for the SIA to accept that. Maybe getting thousands of signatures from operators with an SIA CP licence could do it? Maybe creating an association or guild? And regarding the proposal for change, how about including more technical stuff? Things that lie beneath the surface. I mean the physical aspect is obvious as this is our job. It is also our job to protect all aspects of the principal's private life, his image, his information. How about a basic TSCM "skim over" on CP courses. What damage it can do to the principal's life, what type of bugs exist, what they look like, where they could be placed, measures that should be put in place. How to protect sensitive information on devices such as mobile phones and PC's. Osint research as well as a lot of useful intelligence regarding the principal channels through open sources. Obviously there won't be time to go deep into these but a basic skim over sets the tone for the future and if the CPO really takes his job seriously the skim over will open his eyes and he will take it upon himself to pay for further training. Rumour has it that the SIA is going...nowhere. There remains a very good chance that they are here to stay albeit with different responsibilities as to what they have now. Licensing is due to move from the 'individual' to the 'business'. It will be the business' responsibility to confirm their employees are qualified to the legal standard. The only way to change is 'from within'. I'm working on this and don't for one minute believe it will be an easy ride. However, there are two possibilities that could carry some weight in promoting change. I would add the FPOS-I qual plus a generic tactical medical qual (I don't know if there is an equivalent to TCCC in the UK). IMHO a minimal ability to swim is also mandatory. The FAAW is definitely not sufficient IMO. Maybe creating an association or guild....!! 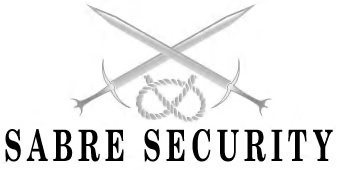 Rich who is an old boy from the 80's has done his bit with an exceptional book that encompasses the core concepts of Close Protection and being a professional has done so without seeking reverence for his contribution, merely an acknowledgement. A true Professional Bodyguard that has remained current with the times. Thanks for your post PBA. Heard many good things about the PBA. You're welcome Ted and thanks for the acknowledgement. We have taken a few punches on the chin for daring to fail students, but that is par for the course. They either make the grade or seek new pastures. Sadly there are still outfits out there that will circumvent the prerequisites for even the basic standards so to see Rich's book in circulation is a breath of fresh air..... and now to have a forum that discourages uncouth language, instead favouring eloquence which is one essence of professional standards lacking in many, another breath of fresh air. I can't believe I have just read that PBA. Well said indeed. It's about time this industry woke up to what standards really are - they're more than what goes on the ground - it's what comes out of our mouths, how we hold ourselves in communication and how we socialise. CP is a way of life - not a 9-5 job. This is indeed great to see. wonderful post PBA!! You are also a breath of fresh air to the industry. "I'd love to to work but the mrs would kick off if I wasn't back for Tea"
I've stopped calling some guys because of that saying. What would happen if the client needed the sec till the next day? Would they call end-Ex on the job?? Guys should know way before they get the cool SIA CP badge in the wallet that this line of work is not 9-5, it's a 24hr job and sometimes 7 days a Week!. Location : Hampshire/ Channel Islands. You find good eggs and bad eggs in all walks of life and amongst all professions. The only thing that changes is the level of consequences. 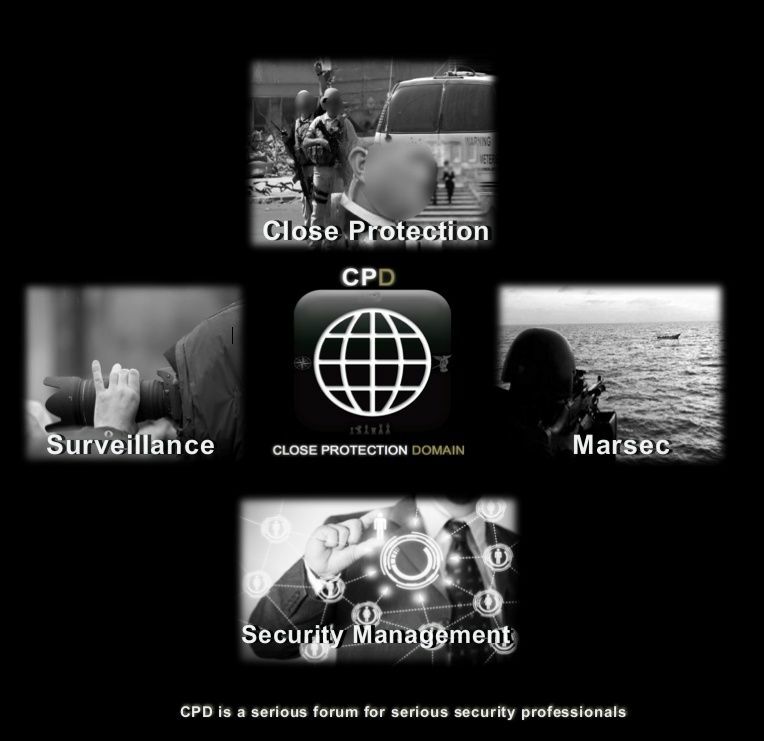 Some professions have the life of individuals at stake, Close Protection is one of them. A bad/amateurish CPO can have a very dramatic outcome. There is no room in CP for amateurs. If an operator can't come to terms with the hardships of CP he should look for something else. If one complains because hours are too long how can we expect one to give his life or react accordingly when the S hits he fan? CP is all about taking the rough with the smooth. CP is about passion, if you have no passion for it, don't do it. Its about making sacrifices, being ready to deploy 24/7 at the drop of a hat and dropping everything. Whether the task lasts one day or one month, when you leave the house the wife needs to be briefed and ready for that. A discussion I am going to love as time goes by and industry standards improve. Publications such as the CP book (by Rich Aitch) are invaluable assets, not only for those already in the industry to use as reference material and kick up the backside but more importantly as a guide to those interested in becoming employed in the industry. To set out standards at this early stage and give a realistic insight and education as to expectations is a good grounding and should not be under-estimated. Hmmm, where do we start? Organisations such as the SIA need to realise that there is no harm to be had in raising standards. They will not lose money, their reputation will only be increased, they will not lose revenue by way of license fees. They need to look at the roles and responsibilities of a CPO, does everyone really need to have a CP license for event work? Bring back an elitist approach to the job that requires more elite individuals - charge a little more for the CP badge if it is insisted upon, create more stinking badges to cover the other aspects of security if needed, but leave CP as CP should be. A little more thought is all that is needed. Awarding bodies are as bad as governing bodies. When we at Surity had our site visit for accreditation I was frowned upon for wanting to raise standards and cover all aspects of the National Occupational Standards. The individual inspectorate from the awarding body had no idea about what the job entailed, what needed to be implemented with regards to TO's or indeed what each objective meant in a practical sense, they just wanted to make sure I had a suitable safe location in which to house my exam papers! Awarding bodies however ARE the ones who may dip out financially...but at the end of the day...the tail should not be wagging the dog! The biggest problem with training companies is of course one of profit margins, or should I say....greed. Companies need to make money, I know, HOWEVER it is very possible to run a 30-day CP course, to impeccably high standards of training, with all the facilities, expert trainers, feed and accommodate students etc etc, with a realistic budget and still turn good profit. The ELC's scheme only allows students up to £2k of course fees, plus £534 additional grant. Students can claim up to a further £74 per day for food and accommodation. Standards within trading companies need to be maintained in conjunction with training companies. The result as alluded to previously would leave a more 'elite' group of individuals operating on the circuit / long-term contracts. Annual refresher training to prove on-going competence (more so for physical assessments) would create more realistic pay conditions. Lets face it - there is nothing worse than sat having a brew in said cafe opposite 'exit 3' and seeing shocking looking CPO's roll out of a Range Rover looking at each other to see who can have a fag first!!!! Morning ladies and gents, apologies for the prolonged forum absence but I have been a tiny bit busy! So how are we getting on with raising standards? Well, slowly slowly catchy monkey!? I have seen some great progress with regards to training providers. Shaun over at G7 and Jamie at Galahad are really pushing their courses in the right direction from what I can tell, I only hope that they in time pursue their companies ELCAS accreditation to enable them to target students at source. Whilst I admit this should not be the primary concern of any service leaver looking to enter the industry it is a fact that potential students will look towards the 'next best thing' that can save them a couple of quid out of their own pocket! We, at Surity are now full steam ahead in preparation for our first course, (12 May - 18 June '14). Today I will be approaching some of the more respectable operational companies to highlight our plight in the industry to raise standards through training. We will (from the second course onwards) be opening our doors up to these organisations and everyone else who we believe may be in a position to recognise, acknowledge, encourage and even orchestrate change regarding industry training standards, after all, if we can provide training to these standards why can't others? Not a great deal is happening with the SIA as you will all well know; heads are still firmly in the sand! If anything the SIA are only cementing their incompetence even further with the release of the news that dates for business licensing have been set back again. Forums and networking..... well, 'the other forum' is still the other forum. Continually I am hearing of bad stories surrounding the unprofessional attitudes of its members, I guess though that when a forum is run my certain characters what do they say? 's**t attracts s**t'? But good to see that CPD continues to develop in the way it is, it will certainly be one of my aims to promote this forum more and more as time goes by. Hello Tony. Firstly thank you for the kind words regarding the forum, your continued support is most appreciated. I have been following your development of the Surity CP course on Facebook and the positive feedback with what you are doing. The course looks fantastic and goes a long way to improve on the basic SIA criteria! Good luck with the first course in May. Please do report back to us how you get on with it, I'm sure some of your students will be along to give you some positive feedback! Great to see TP's like Surity, Galahad and G7 really pushing for higher standards!!! My humble view on raising standards I think like some others your cp course should be a pass/fail. Too many people in the industry are coasting and letting standards drop I have personally worked with operators and team leaders that just because they have been with the company they work for for several years know all the clients and management don't bother to do a proper job. Alot of these people are complacent and switch off on the ground and have let the basics go which makes my blood boil. 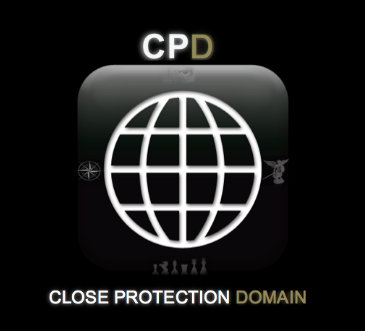 I am now in my forties and have strived to keep my CPD up as best I can and always keep on top of the basics i.e. if your in the car as a driver while the team IBG/PPO's are inside with the client/s you don't switch off play with your phone or not listen to what is happening on the radio as the situation can change in a heart beat. Same for the IBG/PPO's look around see what is happening who is approaching don't chat with the other IBG/PPO's about the football last night etc. Maybe instead of mystery shopper we could have a mystery client that could come in and test the teams on the ground and report back to the head management/client why not the client pays for a quality service and in my eyes if your not upto the job then you should go. Some people may not like what I say and everybody is entitled to their opion however we are in the business of keeping people alive and safe so food for thought. Just my humble opion after spending over seven years doing close protection work. I agree standards should be pushed to higher levels. Good post Alex, training providers should be testing students before accepting them on the course, and most TP's don't do that. I am not asking for SF selection style testing or anything too drastic. Just a Basic Fitness Test. Eyesight, hearing, reflexes, genereal health. What about illnesses that can be passed on to the principal? The SIA licence (although asked for by some companies to work abroad) is a licence need for the UK, therefore I ask myself how operatives who can't read or write or speak english can get it? I have heard of many providers who want to keep their 100% pass record, so when a Bulgarian student doesn't understand the SIA exam paper, they let everyone out of the classroom who has finished and give the student the right answers. I think more should be done to pass/fail students in a proper way. and stop all this cheating. Today it seems any fat unfit and thick civilian can pay a large sum of money, attend a CP course, and come out of it with an SIA licence, so an SIA licence can be gained by just "attending". Thanks Ted just my opion on what I have seen and think we should have as high a standard as it is peoples lives we are dealing with here and in my view it should be done properly. A very interesting and important topic. I have other engagements now, but will certainly post my thoughts on this in the coming days.